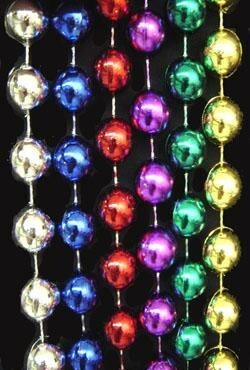 At 60in these are definitely Mardi Gras long beads. 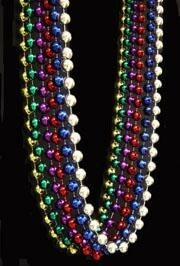 These throw beads come in traditional Mardi Gras colors with green beads, purple beads, and gold beads. 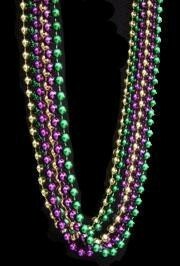 They are sold in 1 Dozen (12) bags and 15 Dozen (180) case.